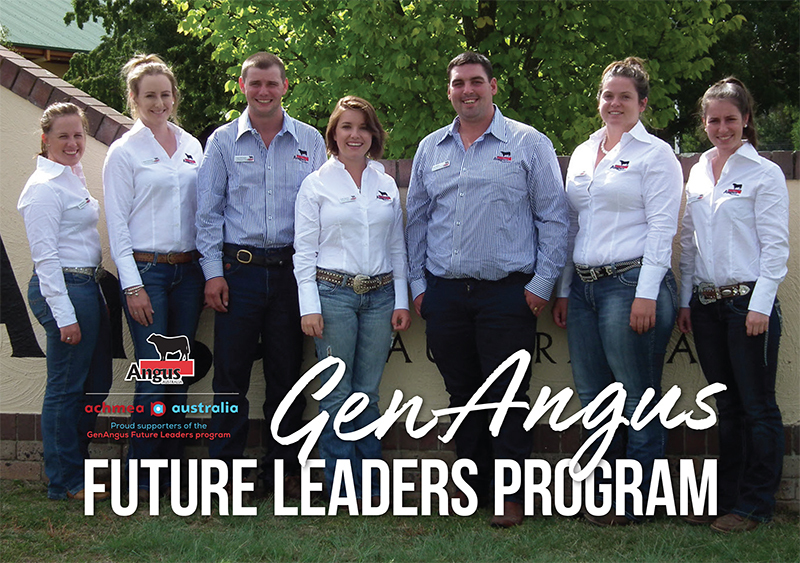 Angus Youth will launch the first GenAngus Future Leaders Program in Sydney from the 5th to the 7th of September 2018. 12 Angus Australia members will be given the opportunity to attend with a three day workshop, kick starting a twelve month leadership journey. The program has been designed to support the younger members of Angus Australia, aged 18 to 40 get into their own beef business, grow their business and further develop their skills to become future industry leaders. The initial workshop will cover such topics as business financials, beef business benchmarking, mindset, beef supply chain, risk and liability and succession planning. With the topics presented by current industry leaders. The three day workshop will also include a special dinner function with an inspirational guest speaker talking about how they have grown in their business area. Following on from the initial workshop, information and guidance will be given over a twelve month period to ensure that growth and development is continued by the participants. Registrations for this exciting and new program will open on the 2ndof July via the Angus Australia website. The program is proudly sponsored by Achmea Australia and the Angus Foundation. Participants will be fully supported with accommodation, meals and education sessions, all they will need to do is just get themselves to Sydney for 3 days.